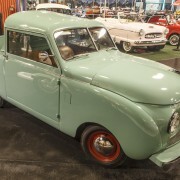 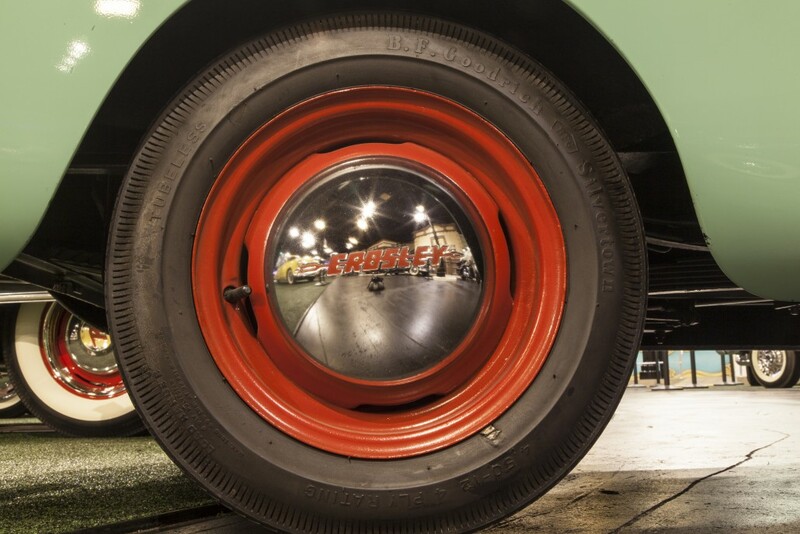 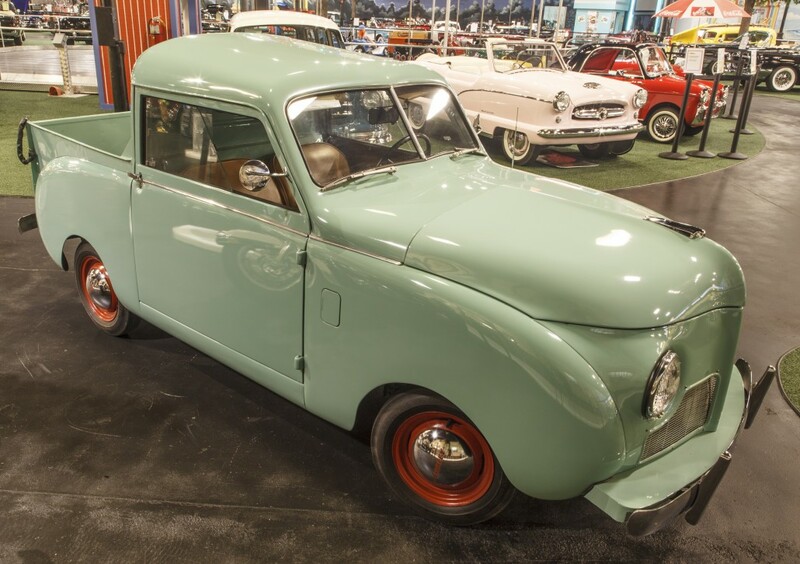 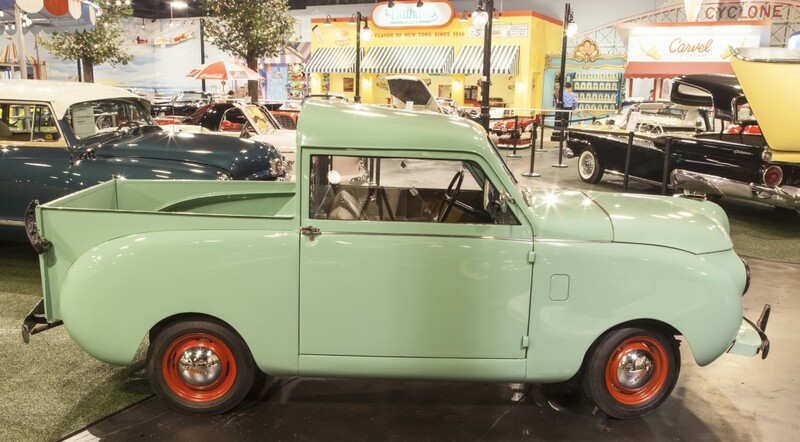 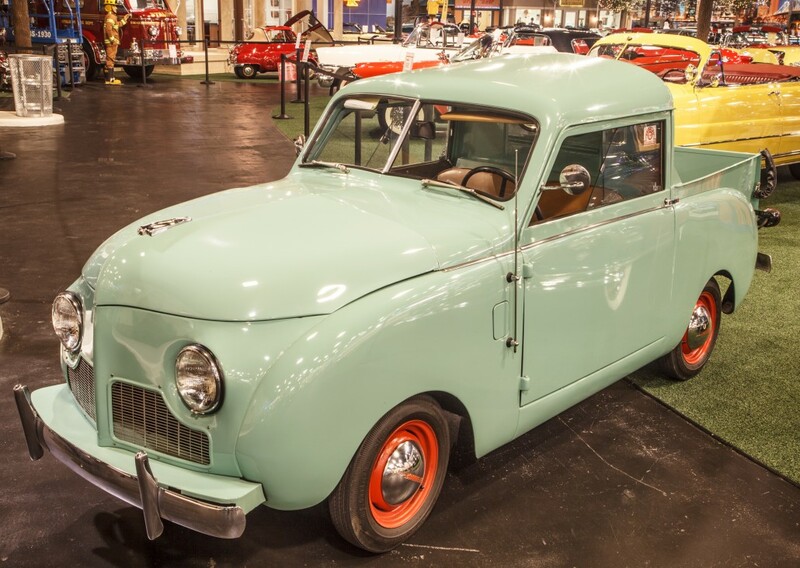 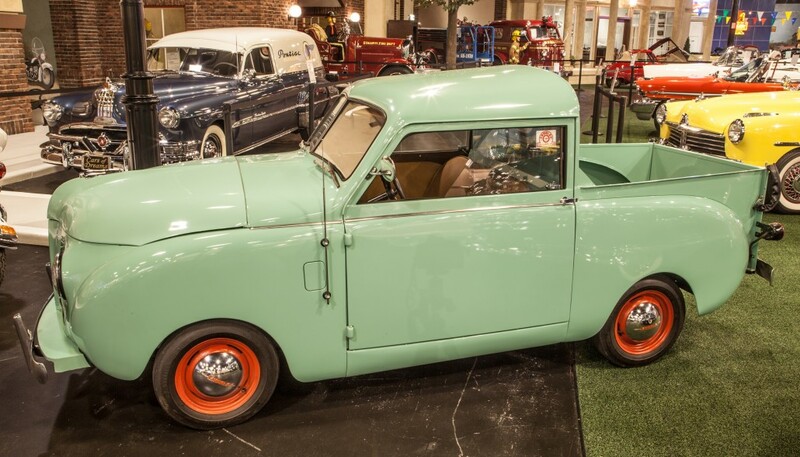 Rare complete frame-off restoration, manufactured by Powel Crosley Jr. 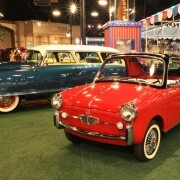 He and his engineer brother teamed up to build the first sub compact cars. 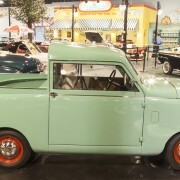 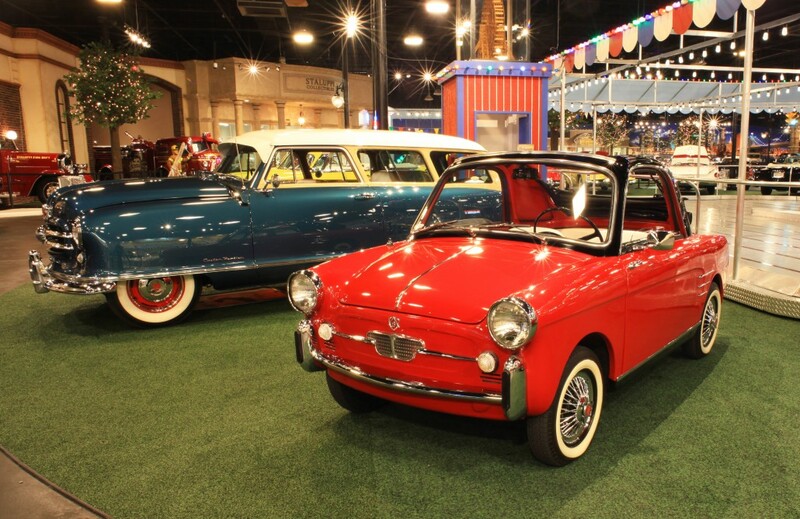 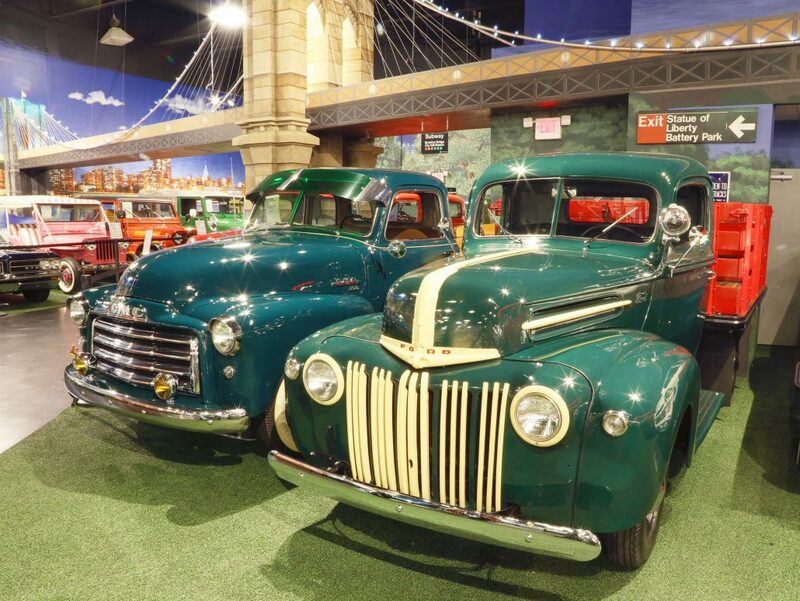 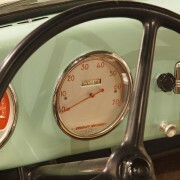 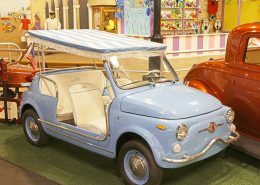 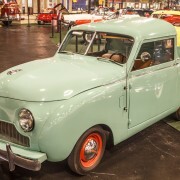 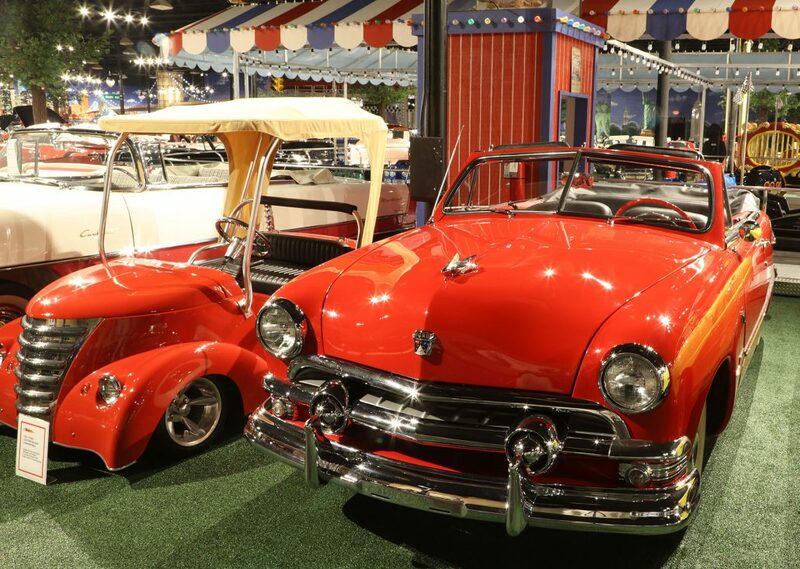 These mini pieces of automobile history were sold between 1939 in 1952. 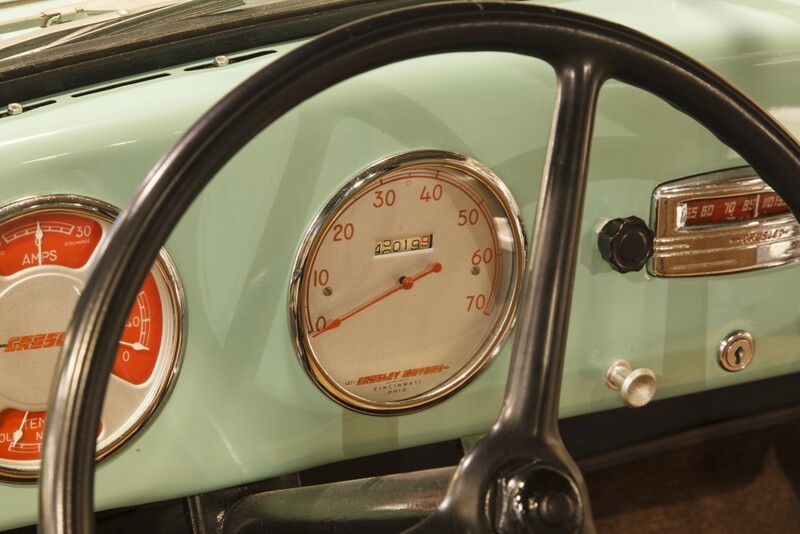 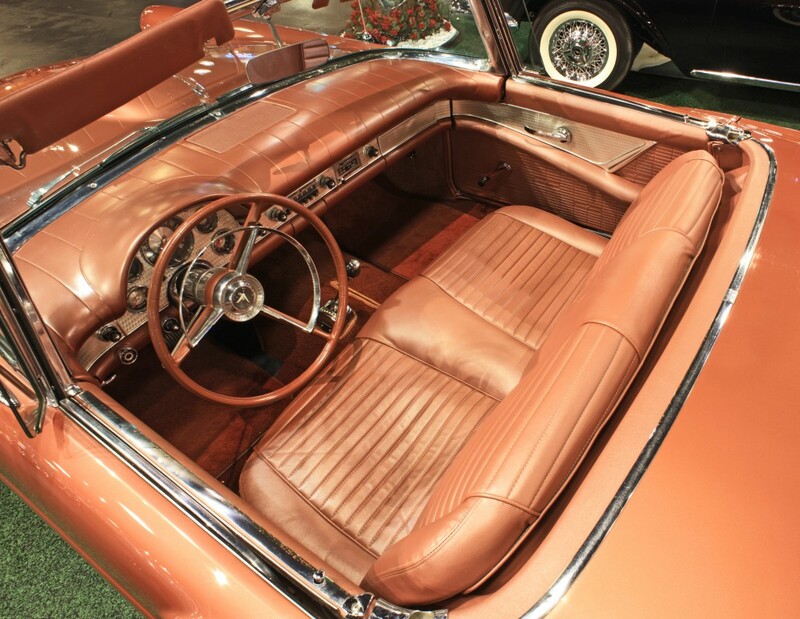 Frame-off restoration, 330CI dual-quad Hemi engine, automatic transmission, rare Benrus steering wheel watch that winds itself when the steering wheel is turned – this is called the Desotomatic. 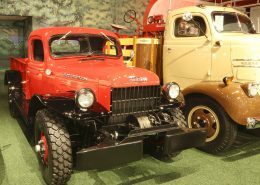 345/345 HP Hemi OHV V8 engine, 3–speed torqueflite automatic transmission, power windows, power front seats, power brakes and a gold boot. 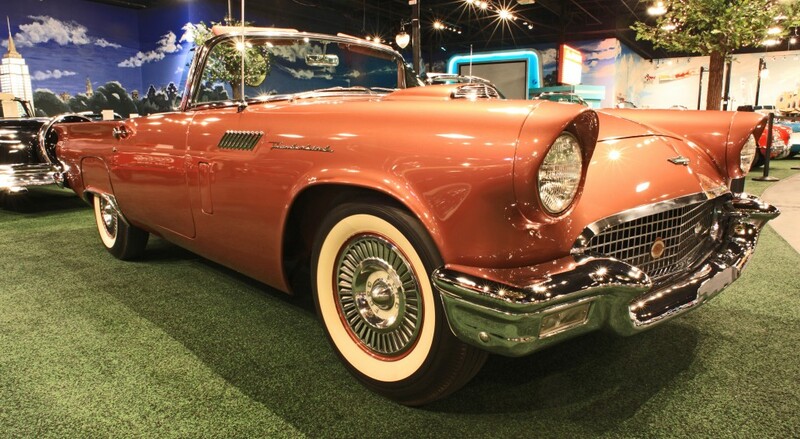 Super nostalgic and collectible, L-head 228CID, 6-cylinder, 99HP matched to a 3-speed manual transmission. 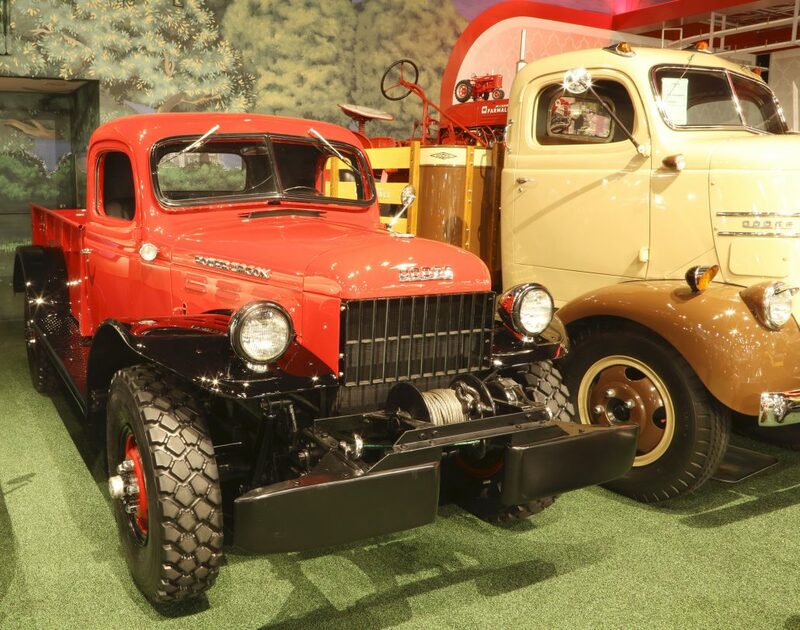 This one-ton 4X4 Dodge Power Wagon pickup features an original date-correct 230ci T137 inline 6-cylinder engine with a 4-speed transfer case. 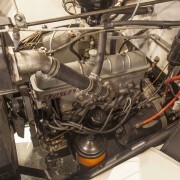 the front transmission and 2-speed manual transmission and 2-speed transfer case. 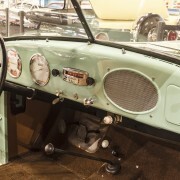 The front locking hubs were added. 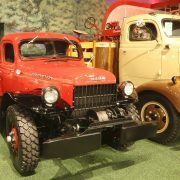 It’s also equipped with front and rear PTO, and original PTO Winch. 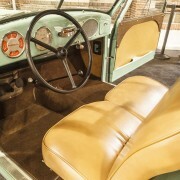 It has correct brand-new, non-directional Michelin all-terrain tires, all-original steel body and floors, and original gauges. 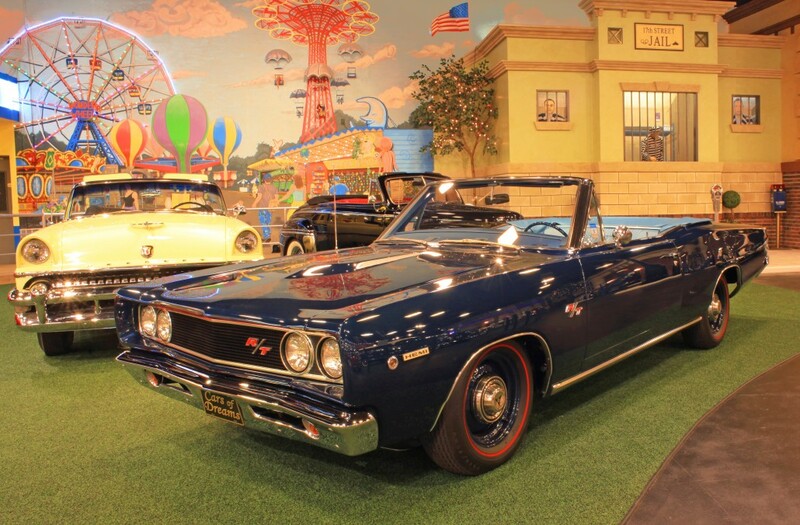 Low production Dodge with very few left in existence powered by a high performance super red ram hemi, power option dual exhaust, 4–barrel carburetor, automatic transmission. 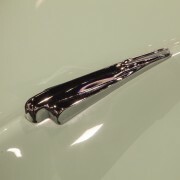 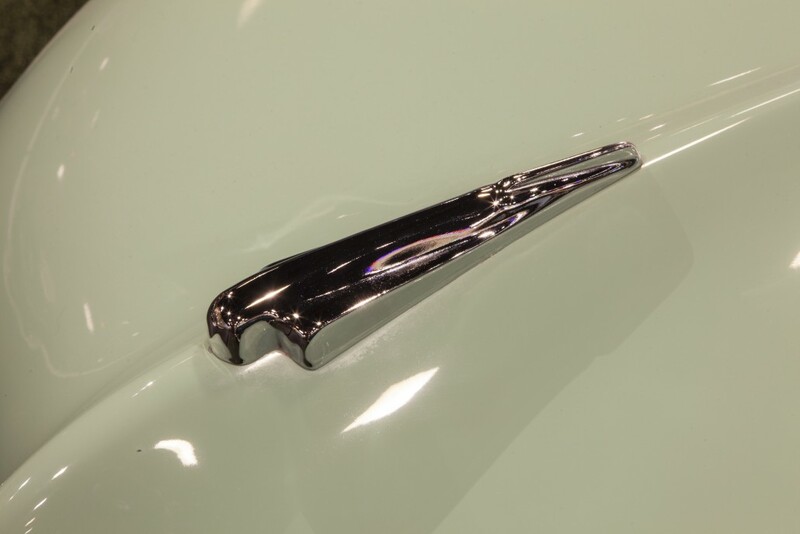 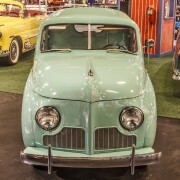 Dodge created the sweptside by grafting two-door station wagon rear fenders to the box sides, total frame-off rebuild, 314.6CID, V8 engine push button automatic, only 1,050 produced, National first-place winner. 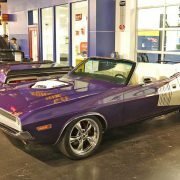 This special limited-production car features dual-quad induction and high-performance upgrades from the factory. 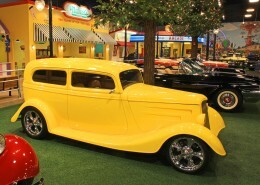 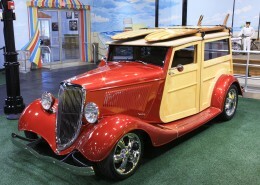 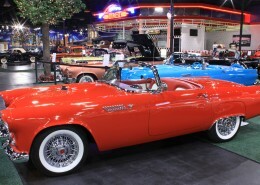 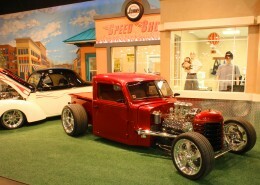 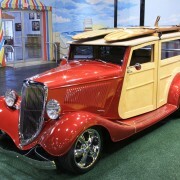 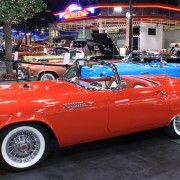 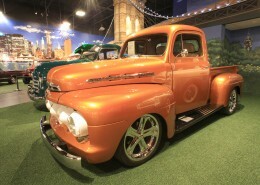 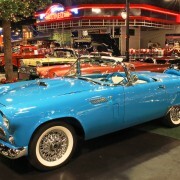 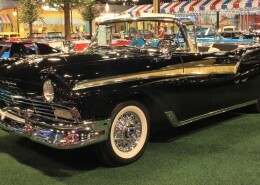 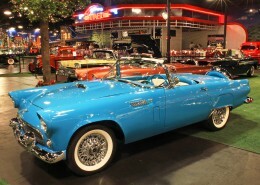 Featured twice in Hemmings magazine, this car was restored in 2005 by Tom White, who is the world expert on these cars. 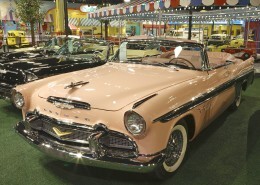 It is a multiple-award winning car, including Meadowbrook, Greenwich, Newport, RI, and others. 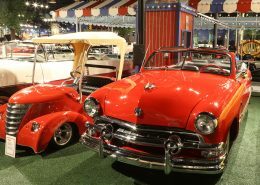 The car was part of a special display at the 2017 New England Concours d’Elegance. 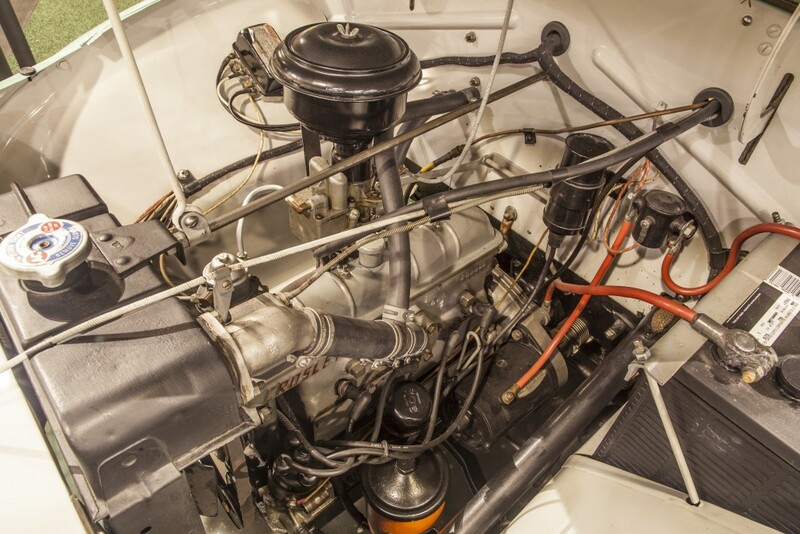 It has recently been back to Tom White for a full mechanical and cosmetic servicing. 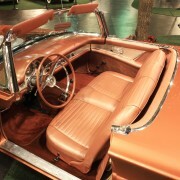 With exceptional fit and finish, the interior was restored by Jonathan chase of Sking and Bones Restorations. 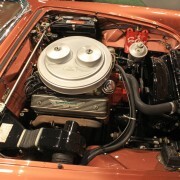 Correct NOS materials were used at great expense. 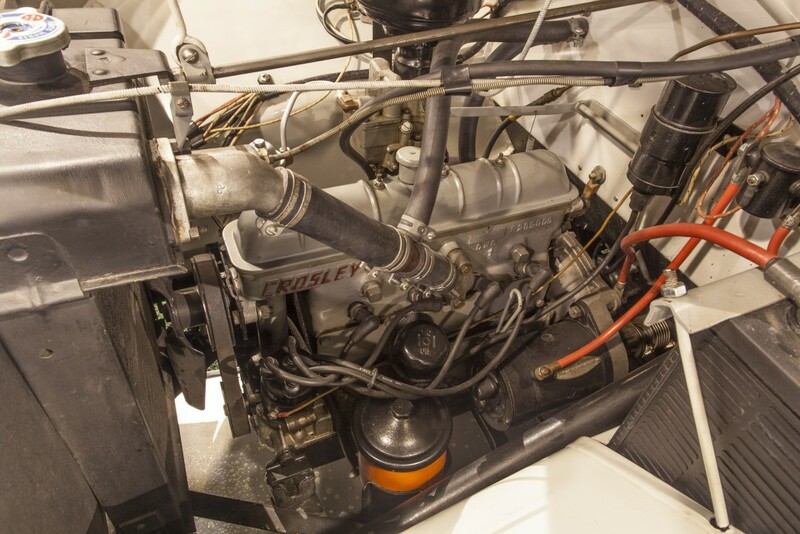 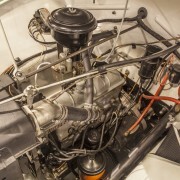 The 383ci V8 engine and driveline were fully rebuilt during the restoration, and the car has accumulated few miles since. 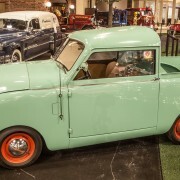 Following its service at Tom White’s earlier this year, it has been ten on a 50-mile drive with outstanding performance. 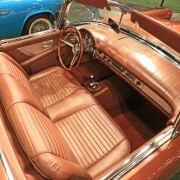 This car is fully equipped with all of the available options for a Super D-500, including power seats with swivel option added, Autronic Eye, power windows, auto-dimming rear view mirror, automatic transmission, power steering and b rakes, Overall, the car presents in show condition with highly detailed engine bay, spotless interior, immaculate undercarriage and trunk, as well as superb paint and chrome condition. 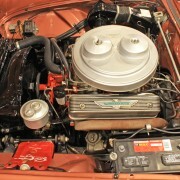 Boasting 426CID, cross ram intake, twin Harley carburetors. 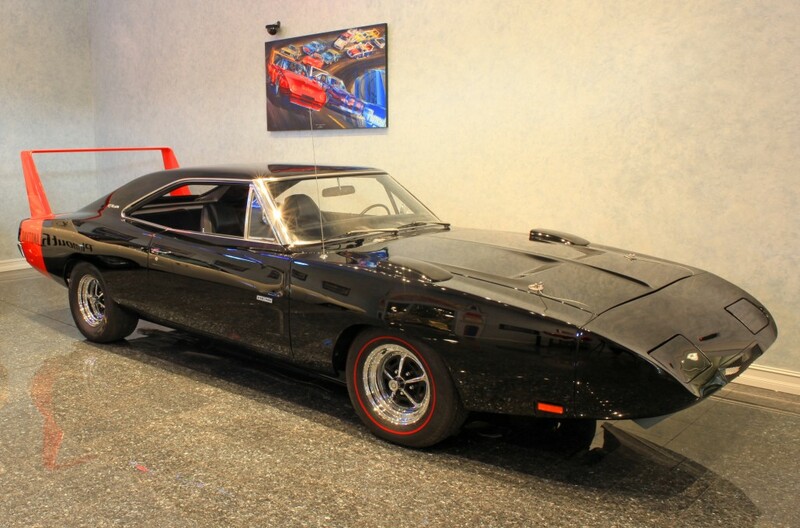 1 of only 9 ever built, more rare than a 70 Hemi Cuda convertible, 426/425HP hemi, 3-speed Hemi Torqueflite transmission driving the 3.23 limited slip 8 3/4 axle, factory 4-piston Kelsey Hayes disc brakes and power steering. 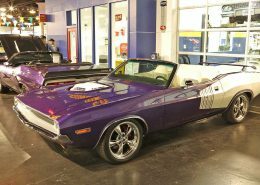 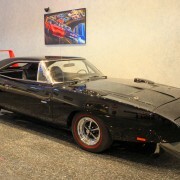 Custom-built to the owner’s specifications including 572 Hemi, factory A/C, fuel injection, MSD ignition. 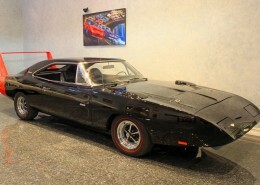 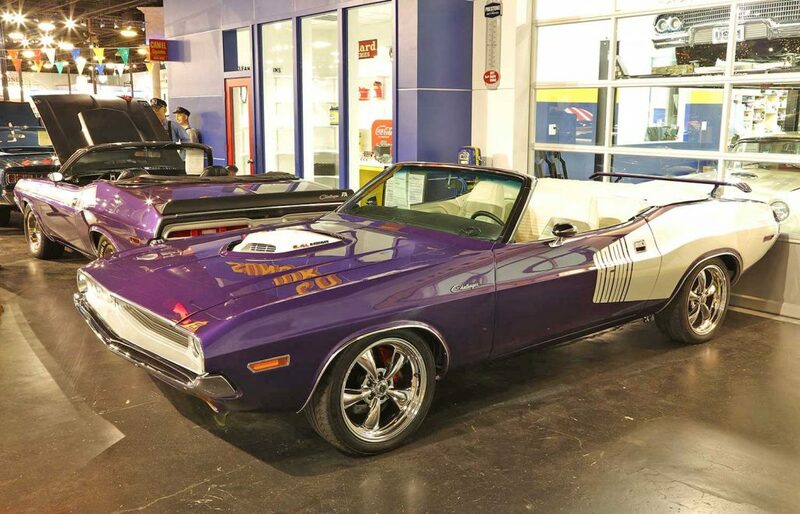 Powered by the notorious Trans Am drivetrain, 340 six pack T/A 4-speed transmission, full rotisserie restoration. 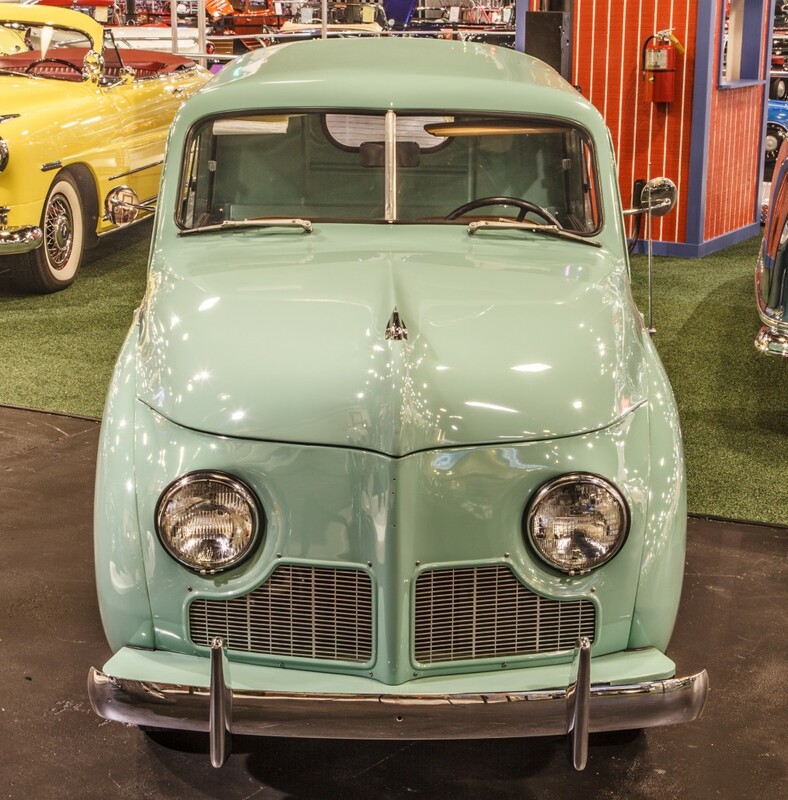 This is one of the original factory HEMI-engine cars, A concours winner, it features a two-year-old restoration and automatic transmission. 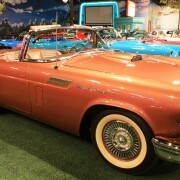 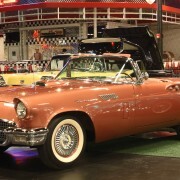 It has a complete history back to original owner and is certified buy Dr. Paul Sable. 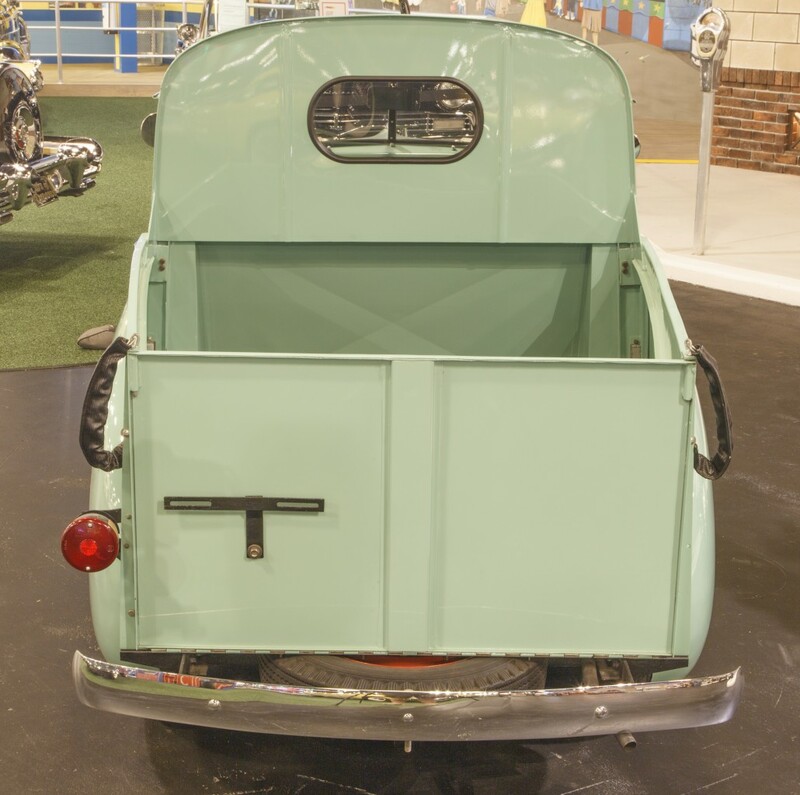 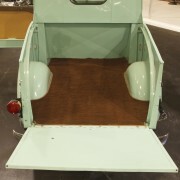 With a recent show-Quality restoration, this custom Jolly features new paint and upholstery with padded seats for added comfort and convenience. It’s powered by a rebuilt 500cc 4-cylinder engine with 4-speed manual transmission that’s been serviced. 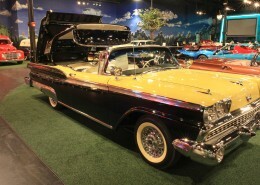 It also features a stupid sherry top with fringe. 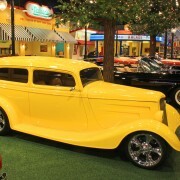 Diamond t with Custom bed 1927 ford flathead V8, Tri-power carburetor C4 automatic transmission, offenhauser heads baffled headers 12 volt electrical system front disc brakes original and functional diamond t gauges, 18″ front and 20″ rear billet specialties wheels custom PPG paint hand painted pinstriping, a true work of art. 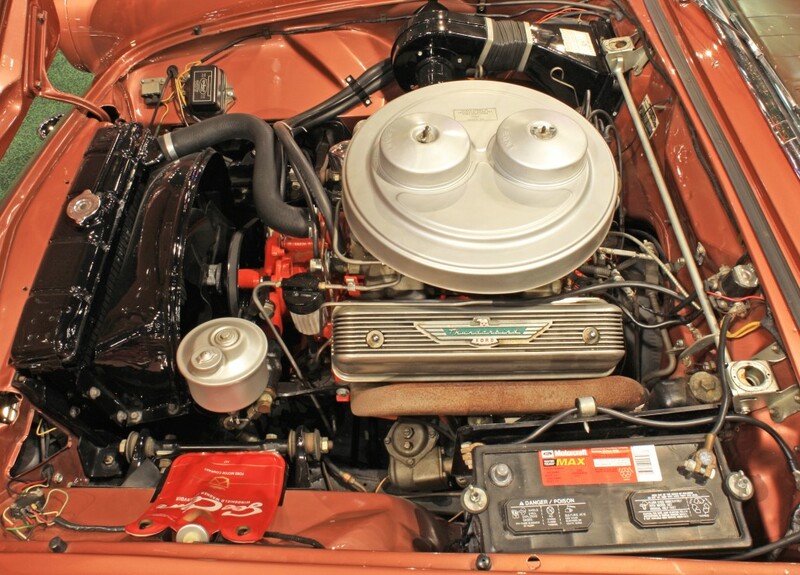 GM 454/450HP, block hugger headers, turbo 400 transmission and aluminum heads, coilovers front and rear, front rack and pinion steering, tubular upper and lower control arms, power brakes, power windows, rare cranked down rear window and 3–piece hood with side louvers. 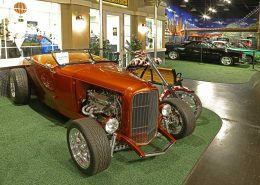 All steel body and show quality finish, 3.5″ chop with matching custom glass, smoothed running boards, integrated full wrap–around rear apron, custom engine bay side panels, side lift hood, shaved trim, electronically actuated suicide doors,’s Pro–built 383 stroker small block V8, fuel injection, 700R4 transmission. 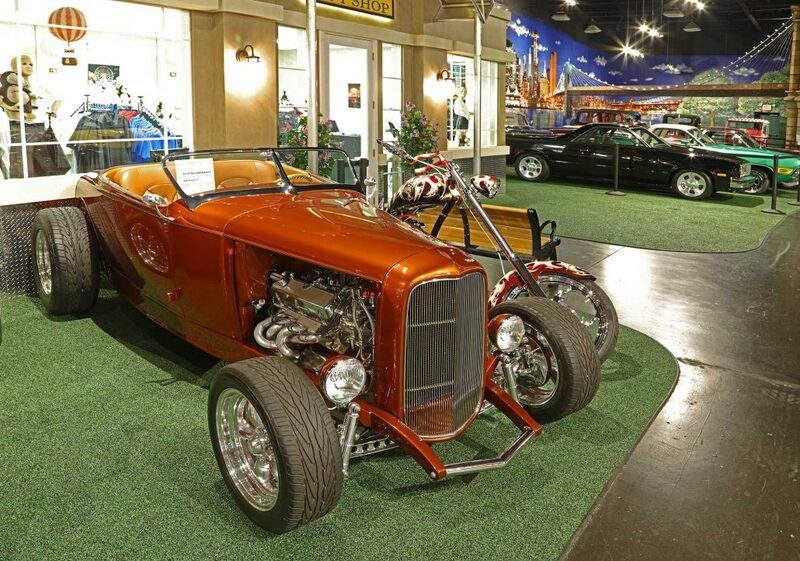 Custom steel with a 350CID engine with a 350 automatic transmission, air conditioning, power steering, power disc brakes, power windows, Mustang II style front suspension, coilovers, rack and pinion steering, foose 5–spoke chrome wheels. 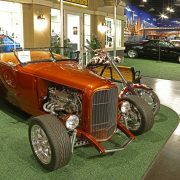 All steel roadster, only 1,400 ever produced, 350ZZ4, 700R4 transmission, C4 Corvette suspension all around. 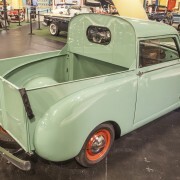 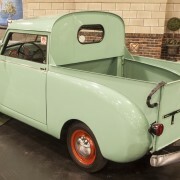 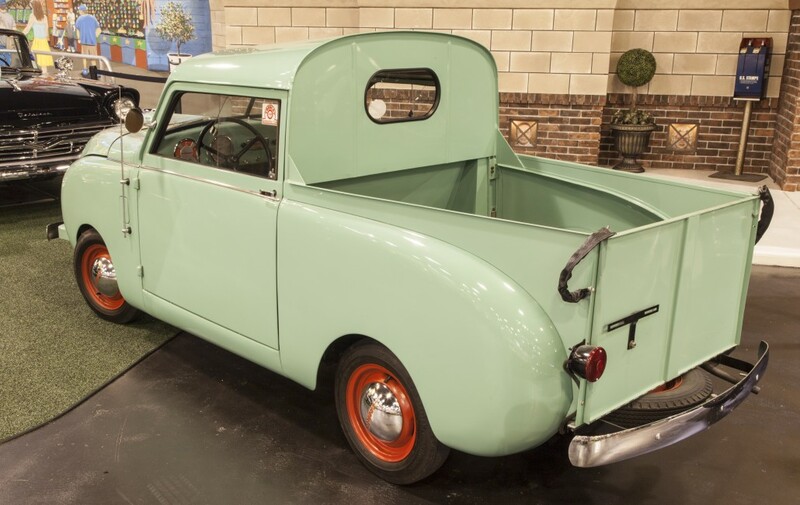 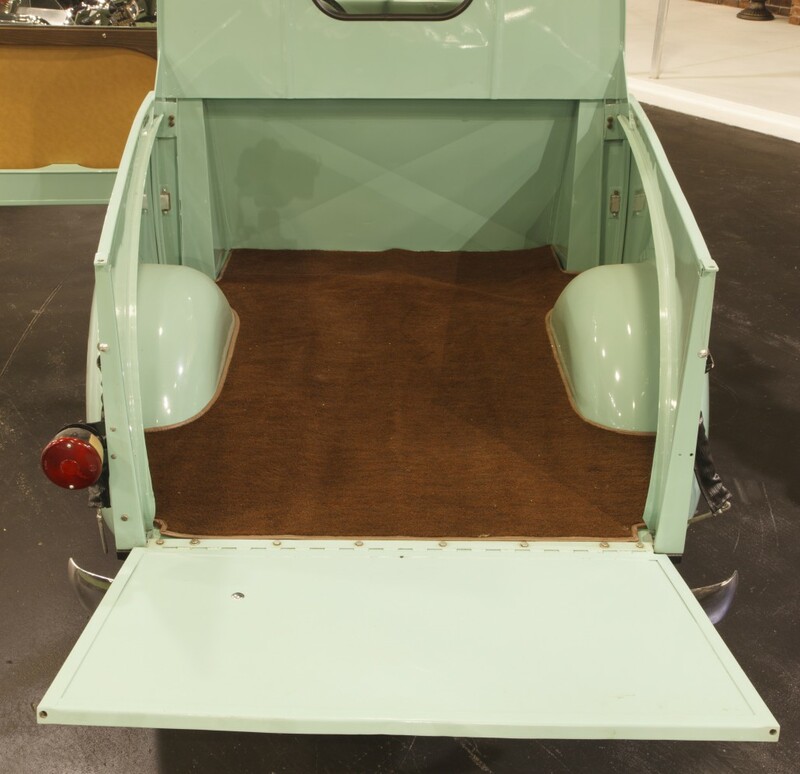 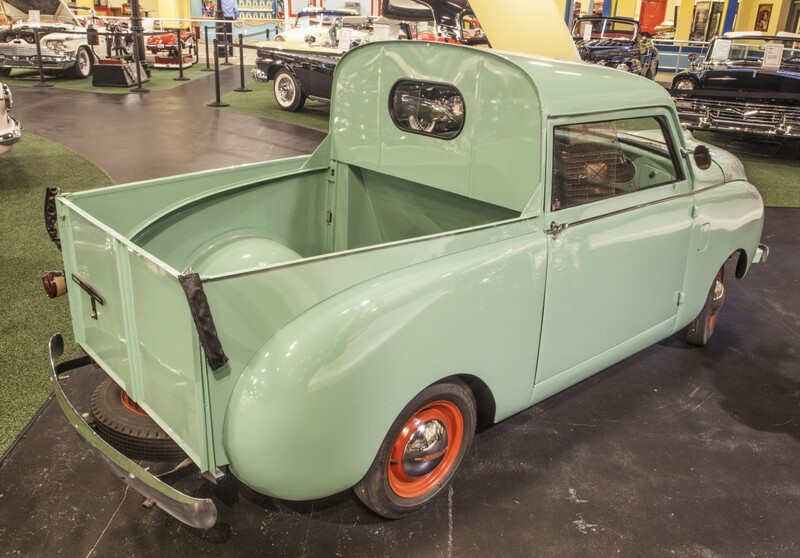 Finished in Village Green, this stake-bed pickup has had a high-quality frame-off restoration. 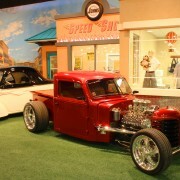 It’s powered by a 239ci Flathead V8 engine with a 4-speed transmission. 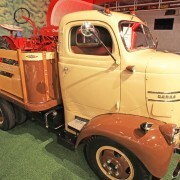 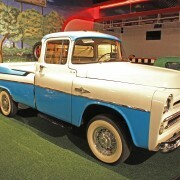 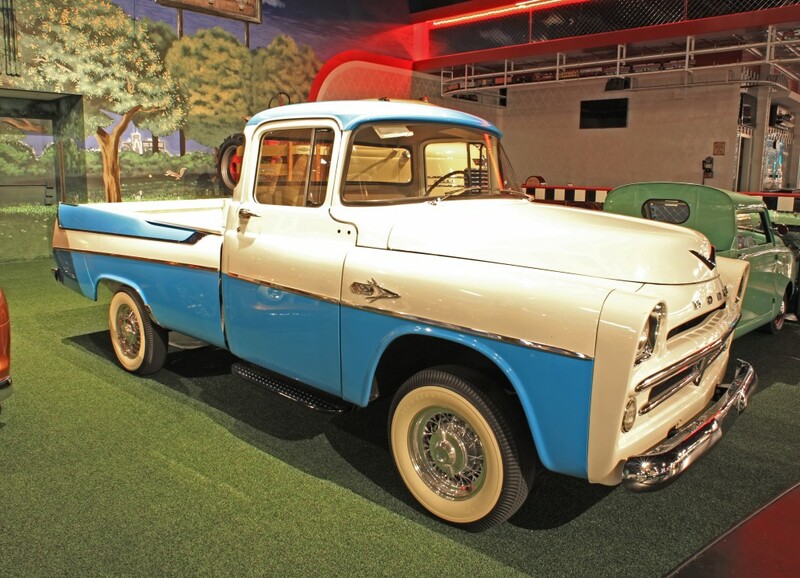 An original Colorado truck, it still retains its original flatbed body manufactured by the Winter Weiss Company in Denver, CO. It’s been owned by the same family until 1989. 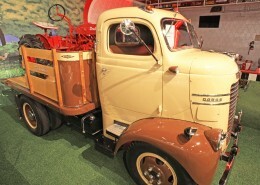 This truck comes with the original 1950 title and restoration receipts. 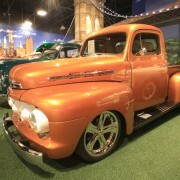 Custom fire mist orange paint, 351CID, V8 with chrome valve covers, custom heidts hot rod shop front end and suspension, Ford racing intake, MSD ignition, power brakes, air-conditioning. 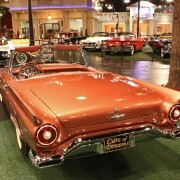 This car had a frame-off restoration in the mid 2000’s. 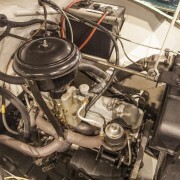 The original 8-cylinder Flathead engine and Ford-O-Matic transmission were rebuilt at this time. 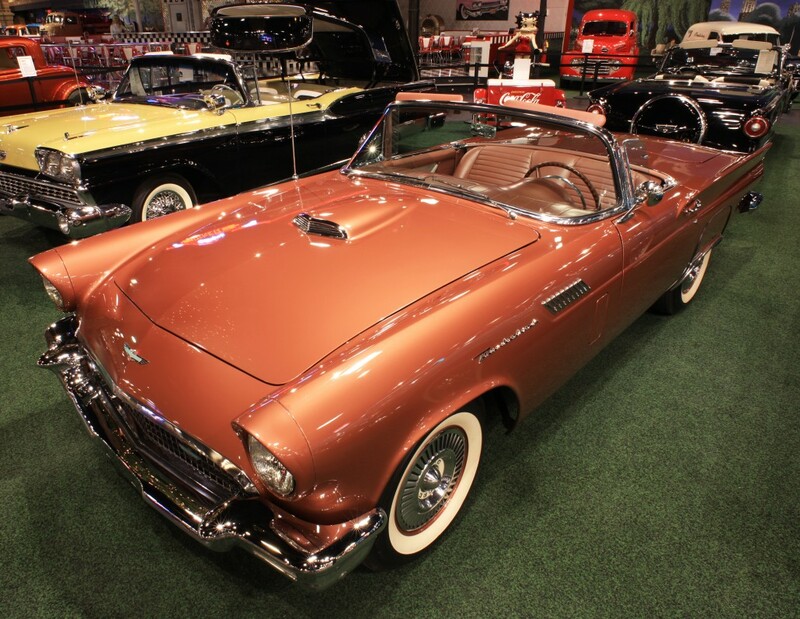 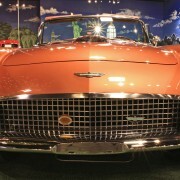 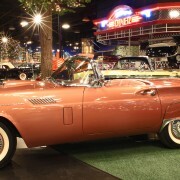 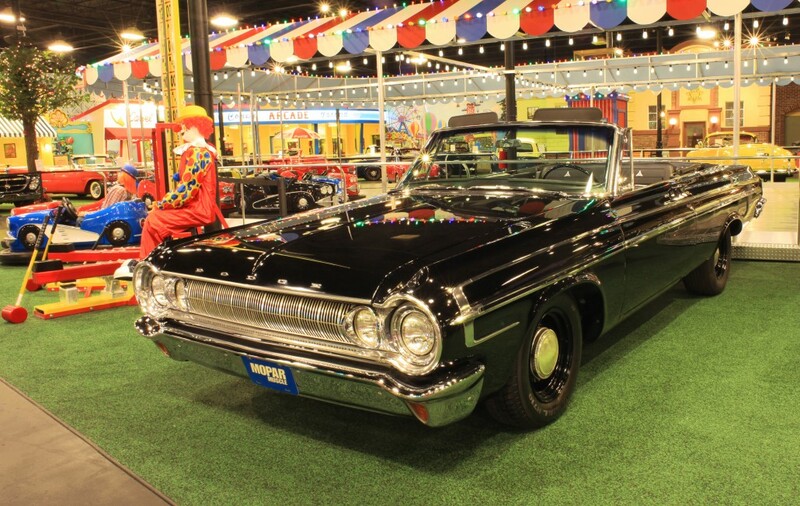 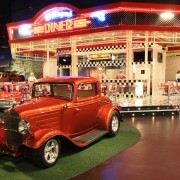 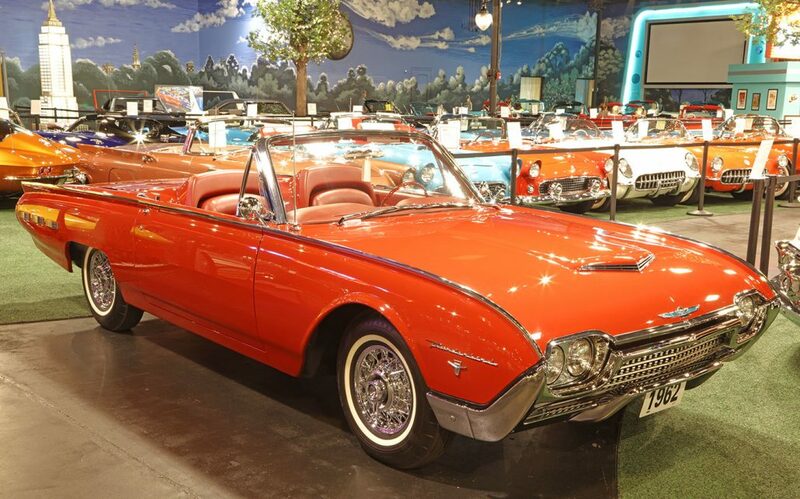 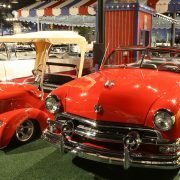 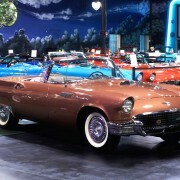 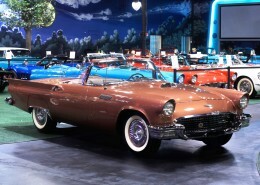 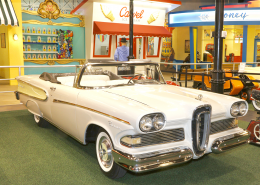 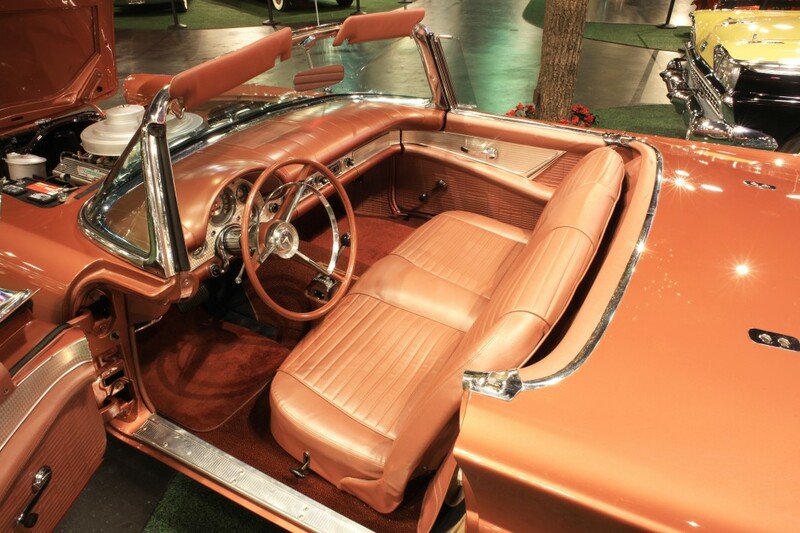 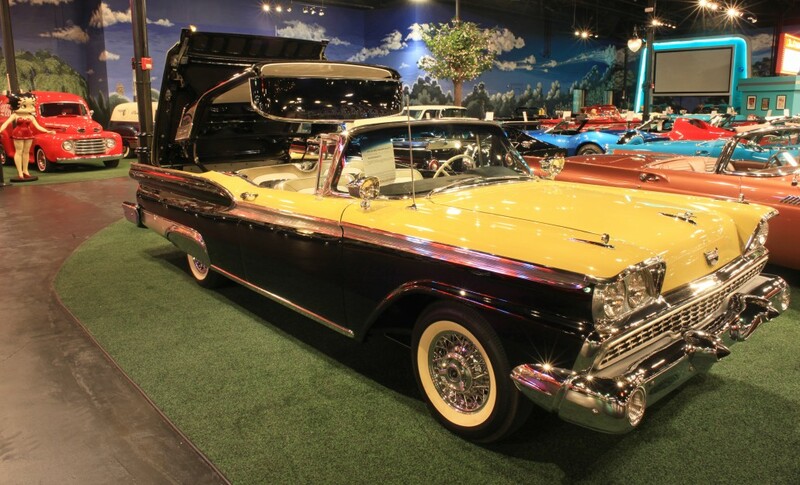 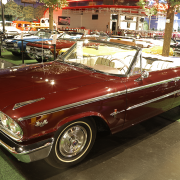 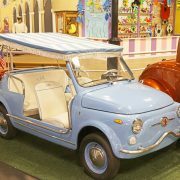 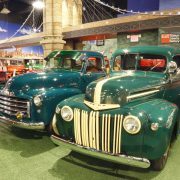 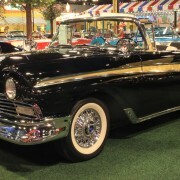 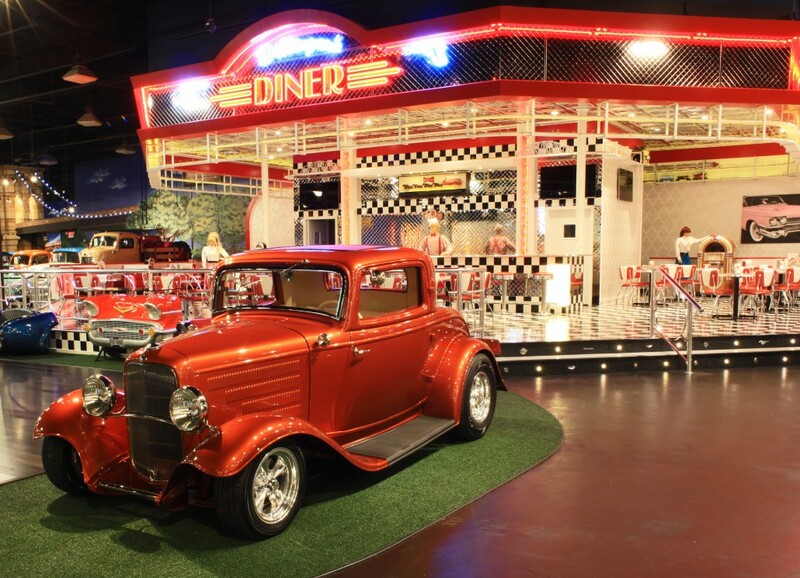 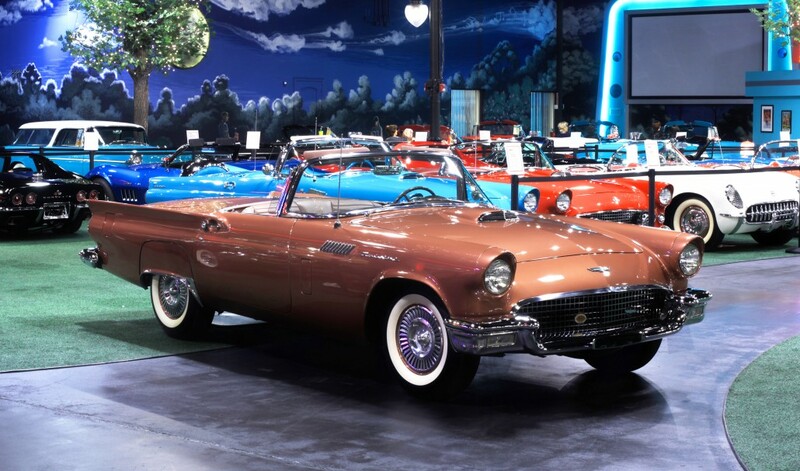 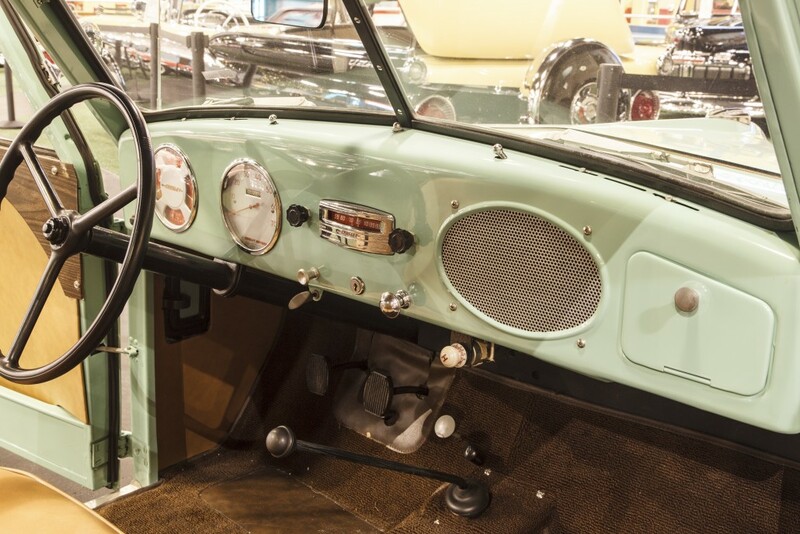 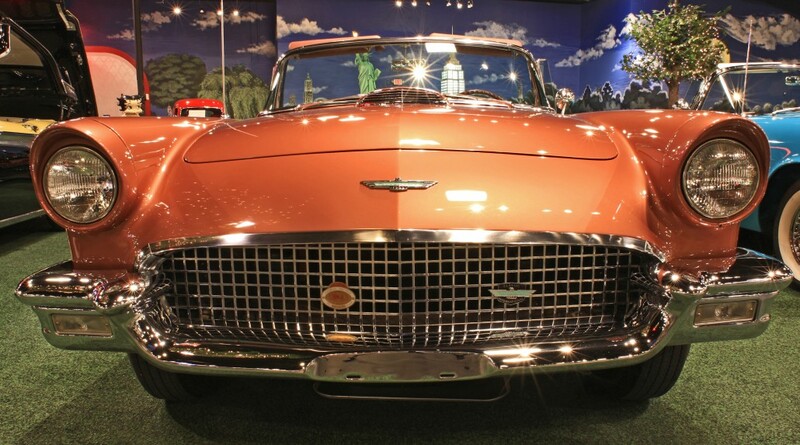 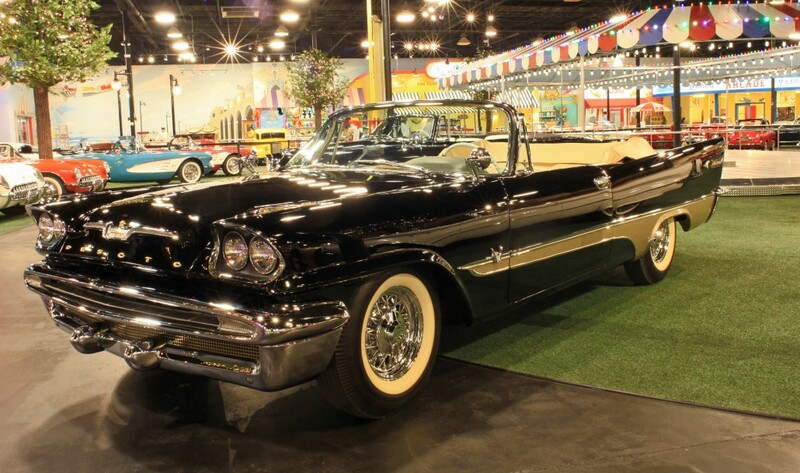 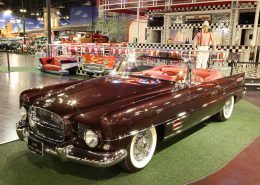 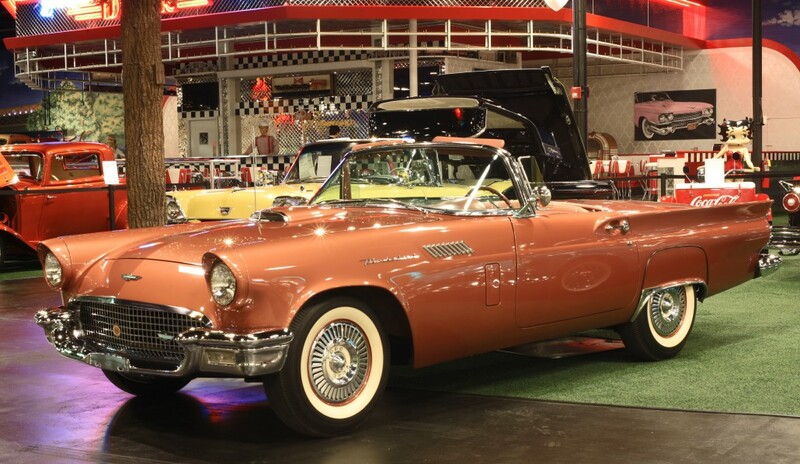 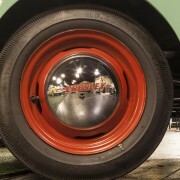 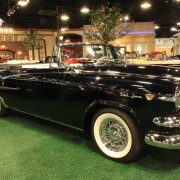 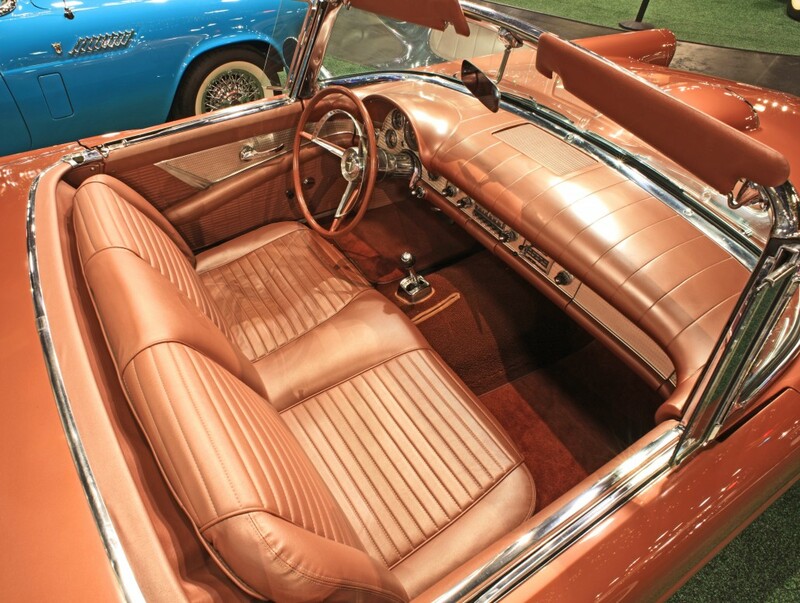 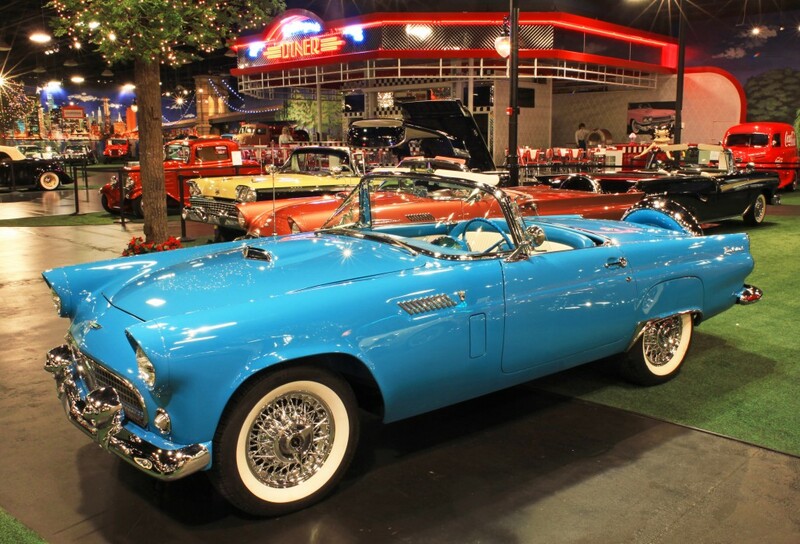 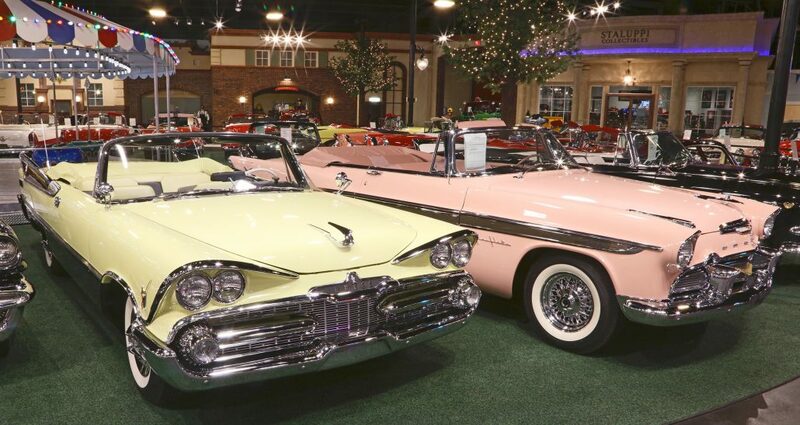 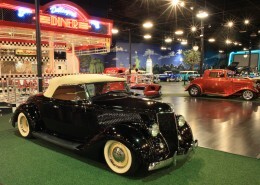 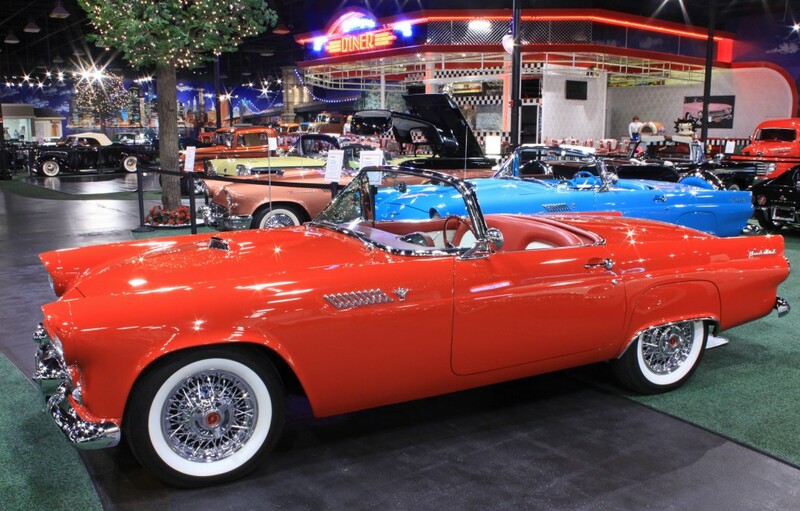 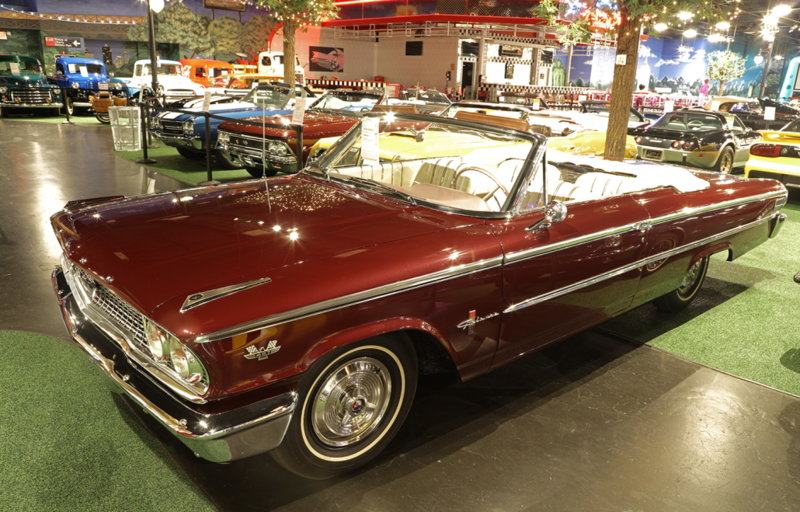 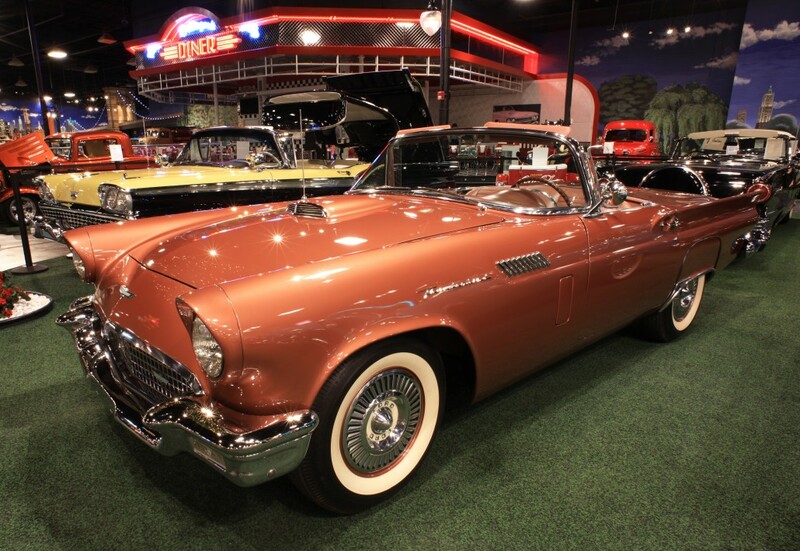 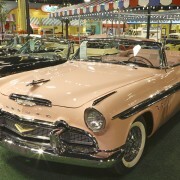 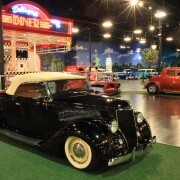 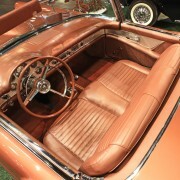 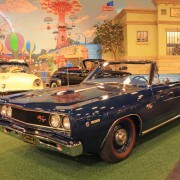 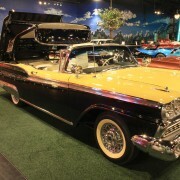 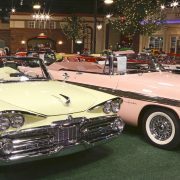 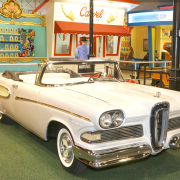 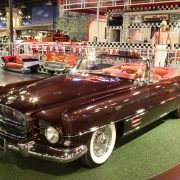 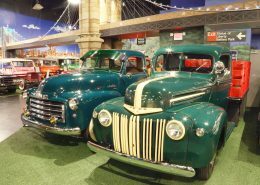 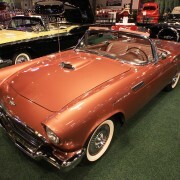 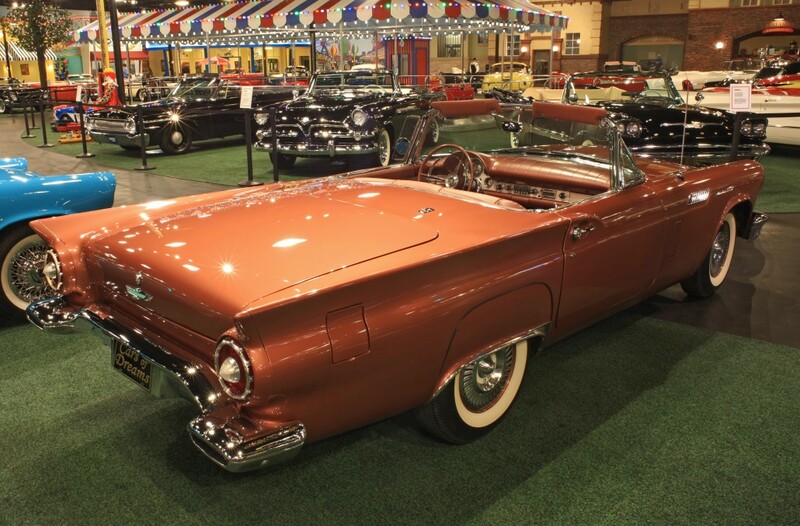 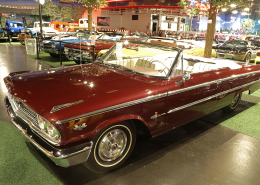 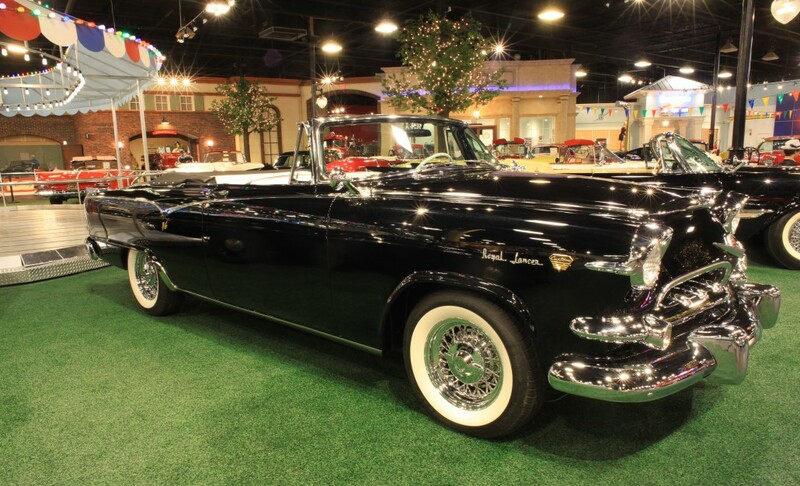 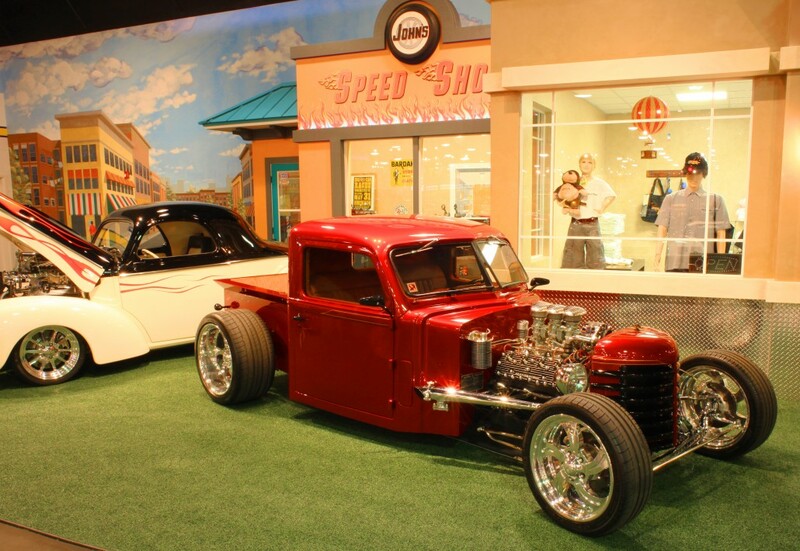 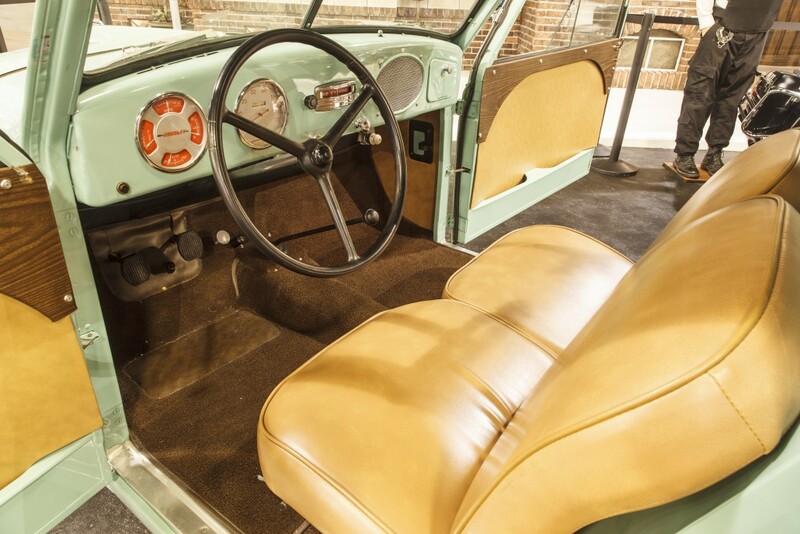 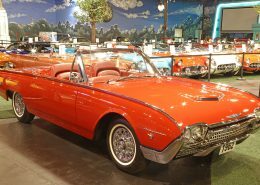 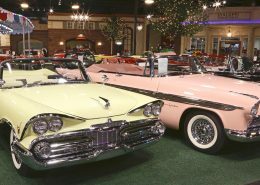 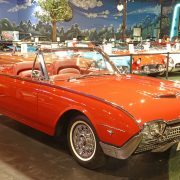 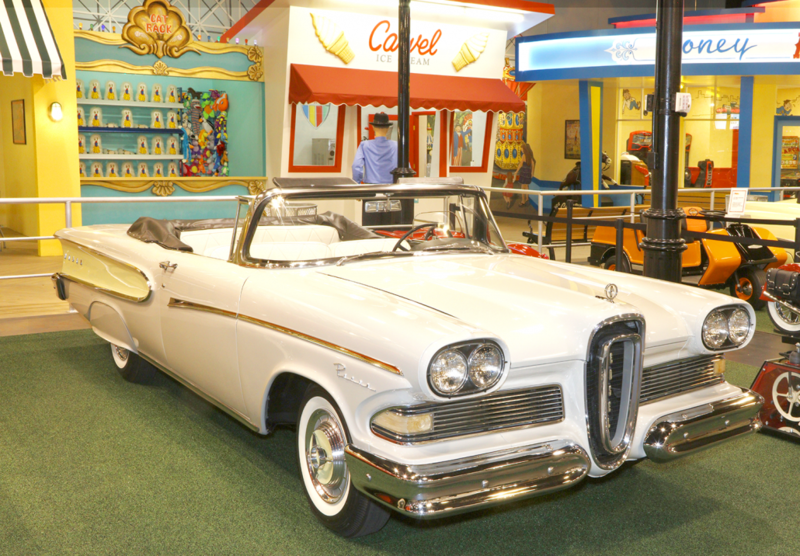 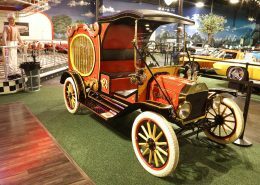 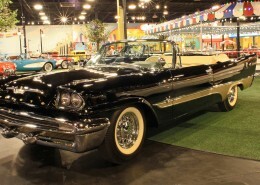 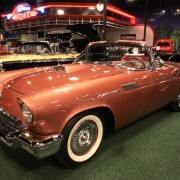 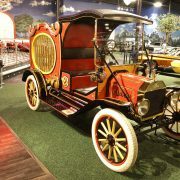 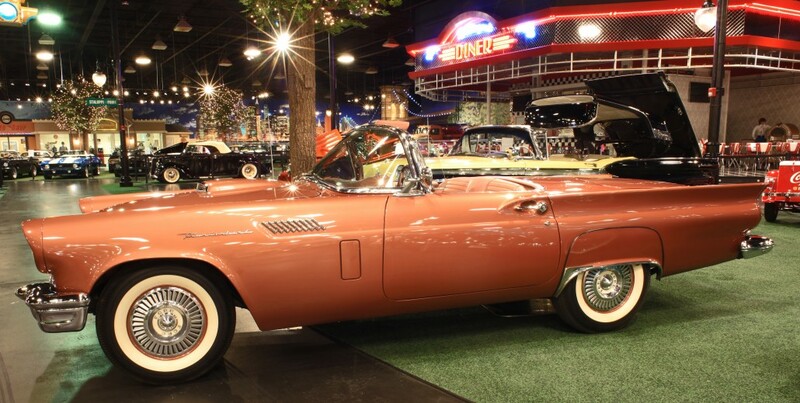 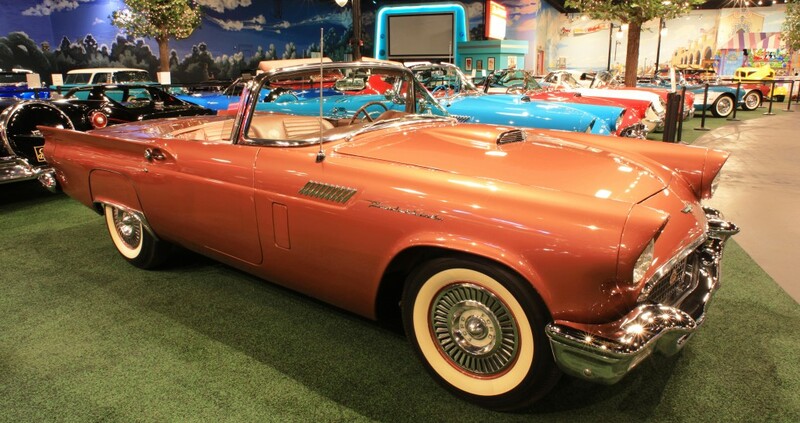 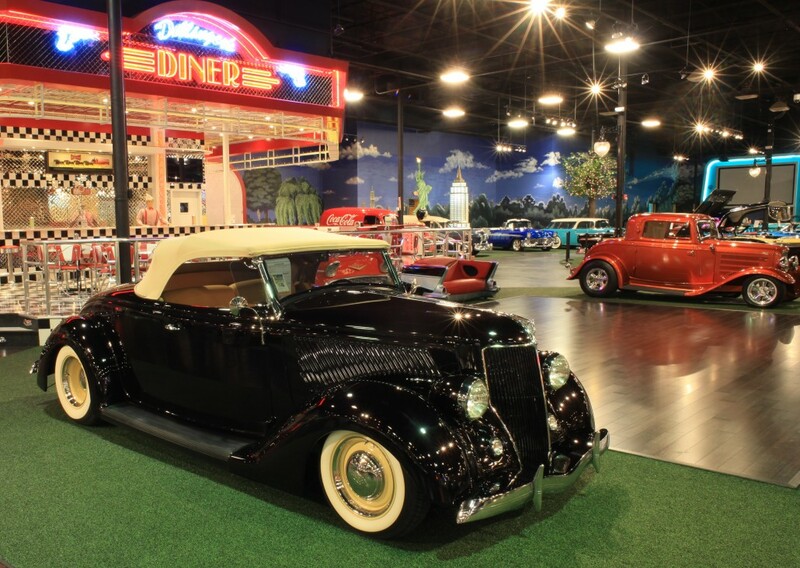 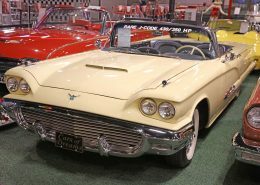 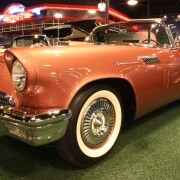 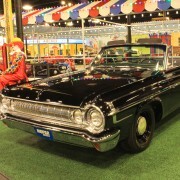 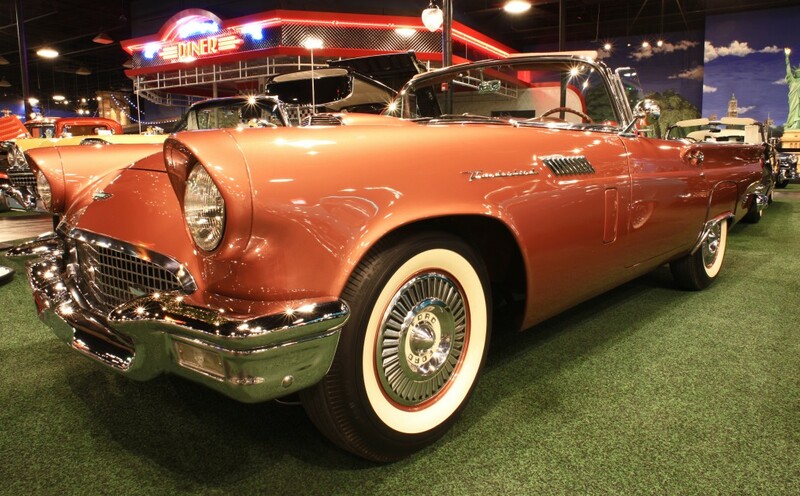 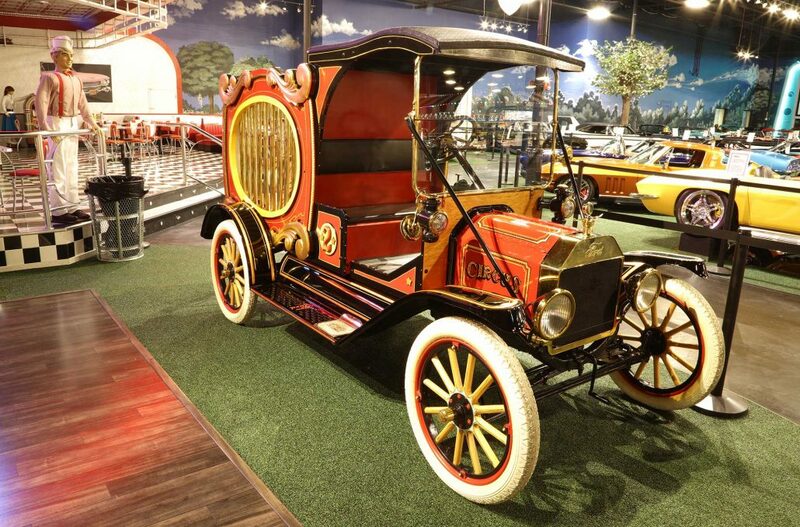 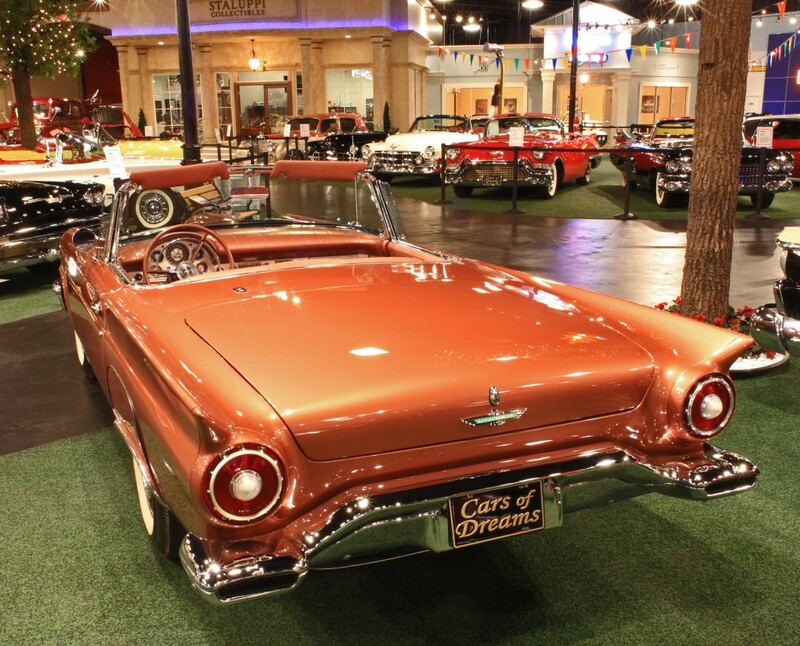 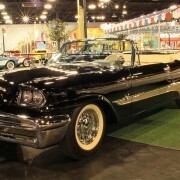 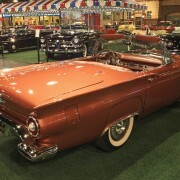 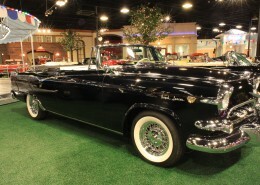 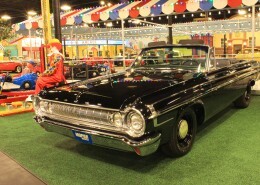 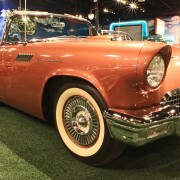 The car was then purchased by the Rodgers Museum in Las Vegas, where it underwent a complete cosmetic refit, including new paint, interior, rugs and chrome. the car was displayed in the museum until it closed in 2015, A new top was professionally installed six months ago. 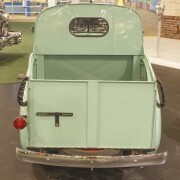 Peacock blue – fully loaded with master guide power steering, Ford’s Swift Sure power brakes, 4 – way power seats and power windows. 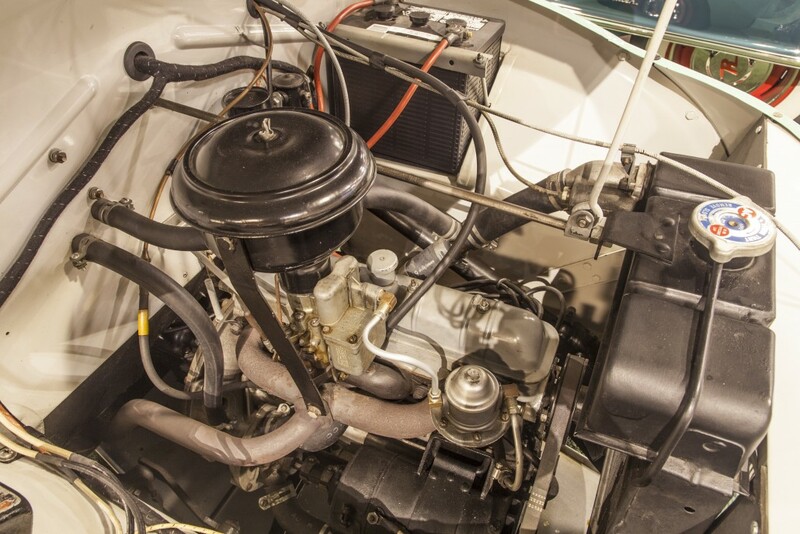 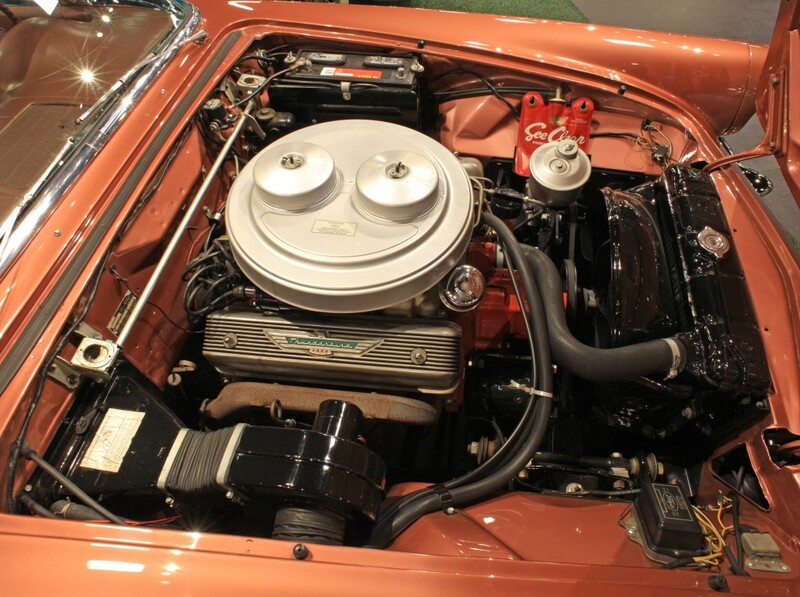 In late 1956, Ford introduced a rare dual 4 – barrel carburetor and manifold kit that was a dealer installed package created for NASCAR. 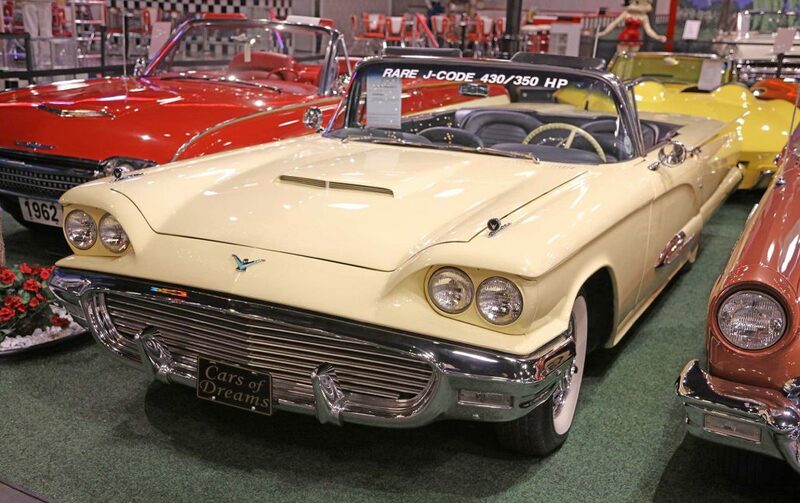 312/270HP, Thunderbird dual 4-barrel carburetors (factory correct), automatic, power windows, power steering, power brakes, AC, retractable hard top. 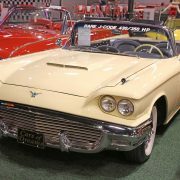 Frame – off restoration, 352CID, power steering, power brakes, power windows, power seat, factory A/C, Cruise-O-Matic transmission. 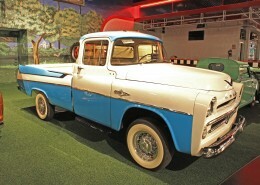 Total body-off restoration, 427/425HP, 3.50 axle, 4-speed manual transmission.